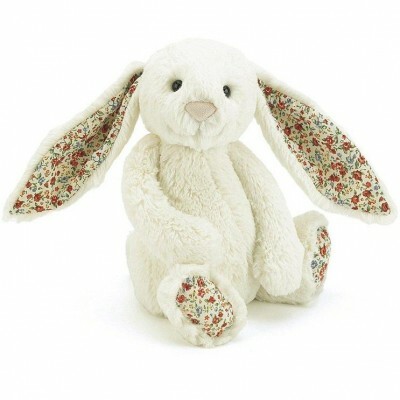 The sunshine’s here and deliciously soft Blossom Cream Bunny is celebrating with pretty patterns in her flopsy ears! She’s even got flowers on her furry feet! With creamy, squishy paws and a friendly smile, she’s the best picnic pal ever!